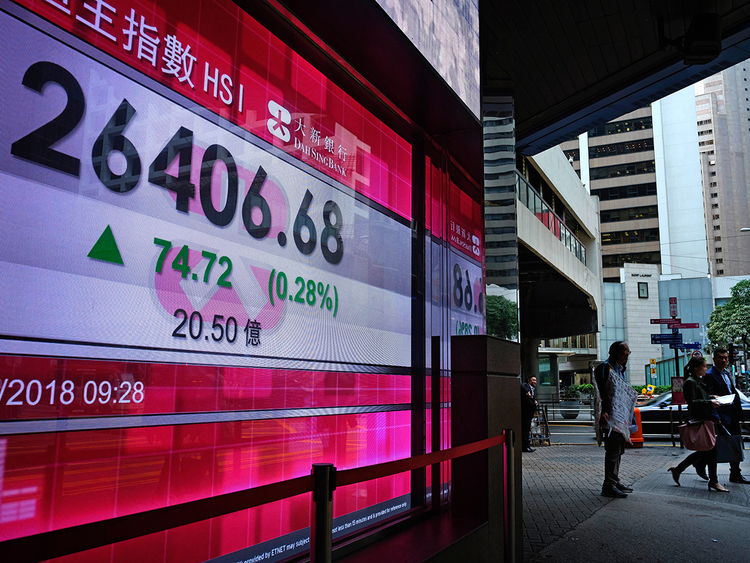 Hong Kong: Just how much is this 90-day truce worth in Asian stock markets? Roughly $325 billion (Dh1.19 trillion), on Monday (December 3) at least. That’s how much market value got added to companies in the MSCI Asia Pacific Index as the gauge rallied 2 per cent. Asia stock bulls couldn’t have asked for a better start to December. The Shanghai Composite Index and Hang Seng Index both soared about 2.6 per cent each, and the Topix closed 1.3 per cent higher. Early action in the yuan also pointed to an optimistic response from investors. In fact, the last time the Asian benchmark reached a jump like this was a month ago, on news that the leaders of the world’s two largest economies talked, with Donald Trump saying Xi Jinping wanted to make a deal to end the escalating trade war. Fast forward to Monday, and it looks like all’s well with global markets again after the US agreed to postpone a planned tariff hike on Chinese goods for three months and China said it will boost purchases of farm and industrial goods to reduce the trade imbalance. Trump also said China has agreed to “reduce and remove” US car import charges, while China’s foreign ministry spokesman Geng Shuang declined to comment on any vehicle tariff changes. Futures contracts on the S&P 500 Index jumped 1.9 per cent in the first minutes of trading and have stayed higher. So, will investors see a solid rebound with four weeks left to the year? The jury’s still out. To some market players, including CMC Markets Singapore analyst Margaret Yang Yan, this temporary ceasefire could set up the year-end rally, given that emerging markets have been suppressed most of this year. UBS Group AG strategists led by Niall Macleod say China and Korea have the “greatest potential” to re-rate as these two countries previously have been discounted too much on bad news ranging from trade tension to economic growth. But others are staying cautious. Mark Tinker, head of Framlington Equities Asia at AXA Investment Managers in Hong Kong, said while some short covering is possible in the near term, he’s still cautious to call a Santa rally as the trade war wasn’t the only thing on investors’ minds this year and the truce is more like the “removal of negatives rather than a huge positive”. He pointed to the US dollar as a key factor to whether investors will rush back into the market. The place where stocks didn’t rally on Monday was Pakistan: its benchmark Karachi 100 Index sank as much as 3.5 per cent after the central bank raised its key rate by more than what most economists had forecast and devalued its currency for a fifth time this year.